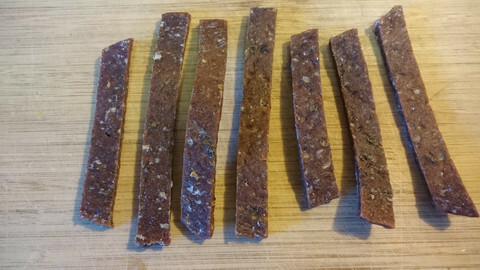 YAK JERKY -TERIYAKI FLAVOR, 5 OZ. A great tasting healthy snack for when you are on the go. Comes in a 5 oz. vacuum sealed pack. Also try our Jalapeno Flavor.